Please, if you have an answer or a partial guess, leave a comment or send an email. Your neighbors desperately need answers to these questions. Updates, comments, tips, and general queries are also always welcome. Responses posted this Thursday. 1) Hollywood: This one goes out to the realtors in the crowd. Spill, please. "Recently, your site has had a number of real estate postings for substantial price cuts on condos in downtown LA. I'm curious if the trend has continued to Hollywood, as I am interested in buying in that area. I've been looking at mid-range properties, such as the Madrone or The Broadway." 2) Westwood: We've looked at this site before. It was rumored to be a convenience store. "Anyone know what's happening in Westwood Village with the empty lot on the southeast corner of Gayley/Le Conte? It's been a long dormant former gas station site. Dump trucks have been getting steady use going in and out this week." 3) Glassell Park: We're curious, too. "I am curious about the progress, if any, for the mixed-used project at 3901 Eagle Rock Blvd?" 4) Santa Monica: People, we cannot let the earthquake win. We must open this theater. 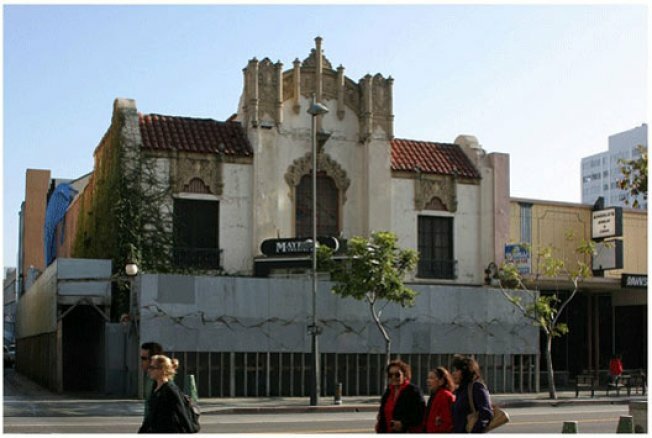 "I know it was damaged in the Northridge quake but is the scaffolding ever going to be removed from the Mayfair theater in Santa Monica and will it ever open again? don't people want it opened again?"